"We won't be forgetting this anytime soon." 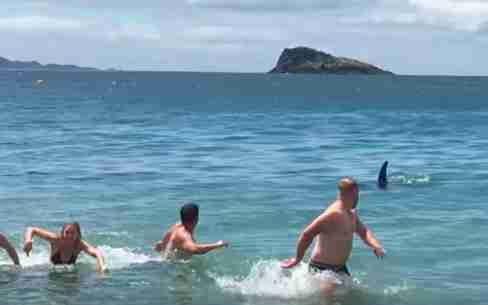 It's beach season in New Zealand, and hundreds of people were enjoying the sun and surf at Hahei Beach last week — when some of them got a very unexpected visitor. 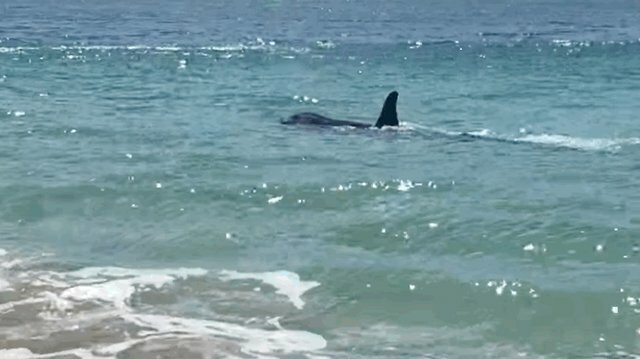 Four wild orcas were thought to be hunting stingrays off the coast when one of the baby orcas became curious and swam right up to people wading in the clear water. 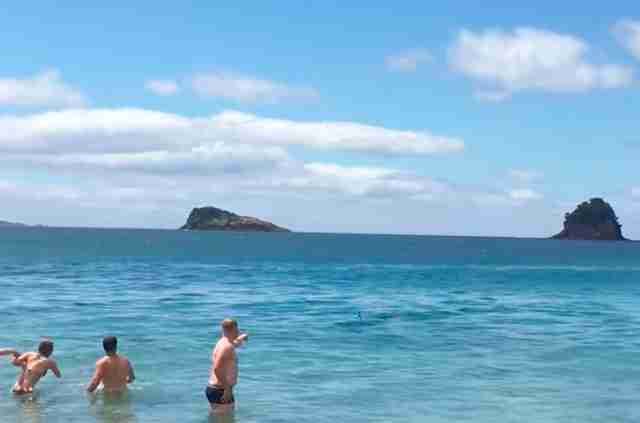 And the sight of a dorsal fin coming straight at them sent the swimmers scurrying for the shore. Orcas are very intelligent and social animals who stick with their families their whole lives, and baby orcas like this one learn to hunt from their parents and relatives in their pod. 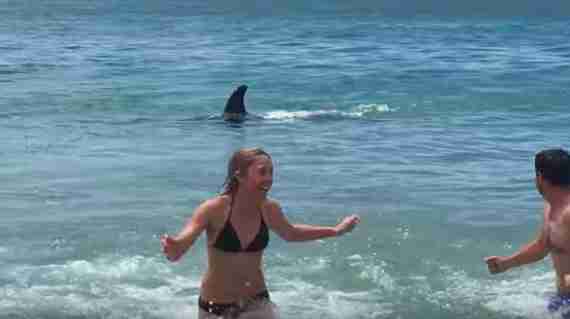 So maybe the beachgoers were right to be startled by the baby orca — he might have been practicing his newly acquired skills on them. 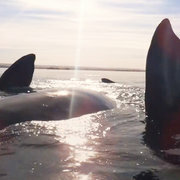 But the swimmers had no hard feelings toward the little orca. "He's just playing," one person can be heard saying. "It was a once-in-a-lifetime experience to see such a beautiful animal up close in the wild," Kelly Lindsay told local news. "We won't be forgetting this anytime soon."